Secure quality door repair services at the most affordable price rates in your local Vaughan Ontario area by taking advantage of cost-free assistance online. Find a skilled and dependable specialist in your local area to get the doors in your house repaired. Our help could be available 24/7 and all the technicians within our nationwide network have the expertise to diagnose as well as correct problems in doors to customer’s complete satisfaction. * Have the chance to locate highly trained, licensed and experienced technicians. * 24/7 emergency services available for repairs of residential as well as commercial doors. * Our technicians are reliable and have the expertise to repair even garage doors. It is important that doors in your home work well but if they are not functioning properly, you must get them repaired. * Get jammed doors back in working condition. * Repair door hinges which are rusted or not in proper working condition. * Services for repair as well as well as replacement of all kinds of doors. * Replacement or fitting of doors locks. * Servicing of different kinds of sliding doors. * Repairing of motor control mechanisms. * Save Time and Money – Since our responses are quick, you could be able to locate a competent door repair specialist within few minutes. Besides, the fees charged by our experts are among the most affordable in the entire industry. So save time and money. * Reliable and Trusted Help – You can get all your tasks completed with just one single click as our services enable you to hire local professionals who have knowledge as well as experience to repair or replace any kind of doors available in the market. * Our Objective – Our main aim is to assist you homeowners in finding technicians who can offer quality workmanship for repair of almost every type of door as well as its maintenance or repair job to the level of satisfaction of all our customers. We are the Door repair Vaughan installing and repairing all types of doors and locks. Our services include door installation, door repairs, entryway design and installation, locksmithing and custom carpentry including remodeling, cabinetmaking, stairways, fences, gates and more. We can handle any type of door repair or replacement. We are not handymen or hobbyists. Our expert technicians are professionally trained door hangers and carpenters. This is a specialized skill that allows us to fix or replace your door properly the first time. In addition if you need a custom door, we can order your door for you and then install it to our high standards. You can call us at any time and one of our experts will help you over the phone to get a technician to your door in 30 minutes for all of your door needs, they are coming prepared for any situation that you have with your door. If you’re not sure what kind of door you need/want, we can help you make that decision. This section explains the most common door types and styles. Door repair Vaughan work with many distributors so that we’re able to fill custom and bulk orders. So no matter what kind of door you need, Door repair Vaughan can get it for you. Where is it and what is it used for? The door selection process begins with these two questions. Once you’ve answered these, then you can decide on the type and style. Where is it? – If it’s an interior door, you might be able to use a hollow core composite door. These come in a variety of styles. They are light weight and the least expensive type. Bedrooms and bathrooms most often use hollow core doors. If security or soundproofing are a concern, a solid core will do. If it’s an exterior door then you’ll want to choose a solid core composite, metal, wood panel or hybrid door. These all come in various styles and offer different looks. What is it used for? – A side door to the garage should be secure but doesn’t necessarily need a fancy look. Your front door should be secure and should also look great. Bedroom and bathroom doors should match. A hallway door in an apartment building should have a particular fire rating. These doors are constructed of wooden rails, stiles and toggles, which are technical terms for the sides, top, bottom and center supports. There are no windows in these doors. Similar to panel doors, these feature glass where panels would be. Standard French doors are one lite (one large pane of tempered glass 8 inches narrower and 14 inches shorter than the door), 5, 10 and 15 lite (in the same space as the one lite glass, divided by narrow wooden mullions). Used to bring light or view into a house or room, these doors are pleasing, but risky in high-crime areas due to the ease of entry through broken glass. Made in a variety of configurations, these doors are normally sold rehung (complete with frame), which means we will need to rip out your existing door jamb in addition to your door. The doors themselves are constructed of a wooden frame with steel sheeting clamped to the frame. Inside the assembly is stiff polyurethane foam for insulation. These doors are light and strong, but the steel sheet is thin enough to crease if furniture bangs into it, and there is no effective repair for that. Good for doors separating garage from the house, or as a side or rear entry to garages or homes. Fiberglass-Wood Hybrid Doors Have the same pros and cons, and assembly, as the steel-wood hybrid doors, but the two faces are fiberglass sheets which are completely waterproof and do not crease. The down side– they are more expensive. The main entry is your guest’s first impression of your home. These doors come in an almost limitless variety of styles incorporating panels, lites, beveled or stained glass and carvings or inlays into their design. an even higher grade of doors, usually custom built and always expensive. These doors are designed to complement the style of your building, from French provincial to Post Modern. We are allied with many competent artisans who can design and build your door, which we then install with loving care. usually found on walk-in business establishments or large secured apartment buildings, these strong doors are made of extruded aluminum rails with a large tempered center pane of glass. They are self-closing open on pivots rather than hinges, and the locking mechanism can be adjusted for a number of conditions. These doors are meant to satisfy local fire codes for public hallways, stairwells and egress doors. Wooden fire doors feature a core of fire-resistant material, and can be faced in hardboard or wood grain Steel fire doors are of welded all-steel construction, with central channels spot-welded to the faces for rigidity. All fire doors come in 20 minute and 1 hour varieties– consult with local fire codes before ordering, or check the label on the door to be replaced, usually found on the hinge side or top of the door. 20 minute and 1 hour refer to how long a fire can rage against the door before failure. The sooner you determine whether you need a repair or replacement, the sooner we can arrive to solve your problem. This will help us feed our offspring thus ensuring another generation of quality Door repair Vaughan. – The door rubs. This usually happens on the floor but it can rub on the top or sides too. – There’s a springy resistance when you try to close the door. – It’s falling off the hinges. – Won’t lock or won’t open. – Lets air in around any of the four edges. – Door or frame is falling apart. This can be caused by termites, exposure, aggressive realtors, abuse or old age. – Wobbles when you shake it. – Doesn’t fit current code or safety needs. – You simply don’t like it anymore. Size and Door type: There are many types of doors. If you don’t know what type of door you have you can always email us a picture of the door and frame and our expert technicians will help you to know which door you have and what you need to know before the replacement as well we will help you to decide on the new door that you want. Final finish: Even though we might not be putting a finish on the door, we’ll need to know what kind of finish you ultimately want, so that we can help you select the right door. For example, are you going to paint it? The more we know, the more effectively we can help. Once we have this information, we can replace your door. If you can’t measure your door, we’ll gladly come out and take measurements for you. Please note, however, that an extra trip charge will occur. Deadbolt/doorknob/ Mortise/ patio lock etc. We regularly install interior and exterior doors into your existing door jamb. That means we can replace your old door without disturbing the surrounding moldings or paint. Call us for complete double-door entryways with sidelights and transom, aluminum or wood sliding patio doors, steel apartment security doors, commercial aluminum glass pivot doors, fire-rated doors, sliding and folding mirrored closet doors, disappearing-into-the-wall pocket doors…even garage doors! Door Installation:: Simply put, we can install any door type including interior and exterior doors. We can also do entire entryway creation and assembly. Whether the job is large or small our work is always of high quality. We can also assist you in choosing a specific door type or style. 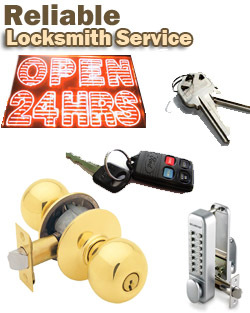 Locksmith service: New lock installations, lock repairs, re-key your locks, master key your building. Even fingerprint-recognizing keyless locks! We can provide and install all of them. Vaughan door repair is covering all the GTA area and working 24/7 365 days a year for your convenience. The bottom line is that when we leave, you’ll have a door that looks great and works well.